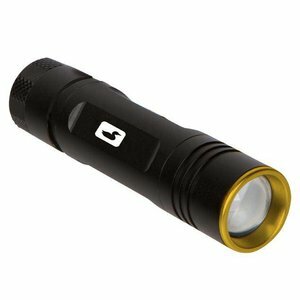 Loon Nano UV Light, Small enough to carry in the field, yet powerful enough to use at the bench. Loon Nano UV Light, Small enough to carry in the field, yet powerful enough to use at the bench. 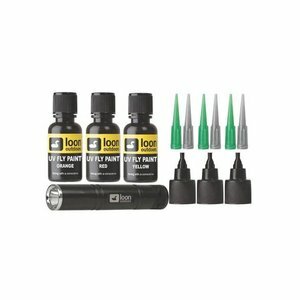 The nano light can be stored in a wader or shirt pocket for curing Loon’s UV Knot Sense or UV Wader Repair, but is also an excellent option as an economical light for tyers just getting started with using UV resins. One AAA battery included. While indoors or shaded from the sun apply Loon UV product and form into desired shape. 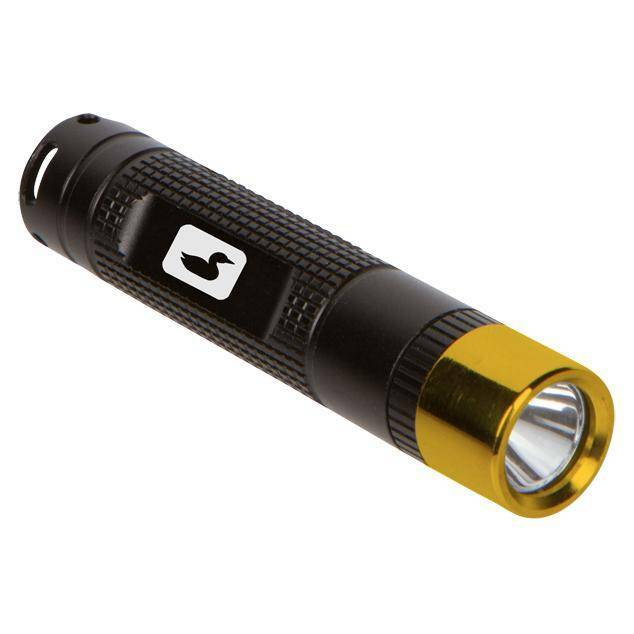 To cure, shine UV Nano Light on UV product. UV product should be fully cured and hardened in 15 seconds. Loon UV Bench Light, This powerful UV light is perfect for curing Loon’s UV resins. 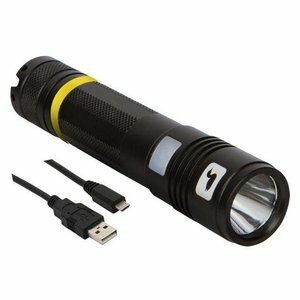 Loon UV Infiniti Light, Powerful enough for pro tyers and rechargeable using a standard USB cable, this is the light without limits. 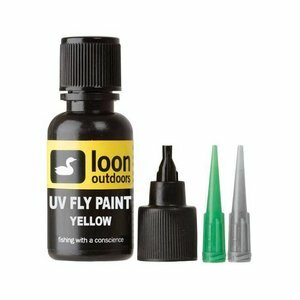 Loon UV fly tying pant: Red, Yellow & Orange, UV Fly Paint is the perfect way to instantly add bold or subtle details to a fly, or to change the color all together. A quick application of UV Wader Repair fixes the inevitable wader rips, tears or punctures in seconds. It can be used on wet suits, Gore-Tex, spray skirts and similar items as well. Simply apply, expose to UV light and you are back in business. 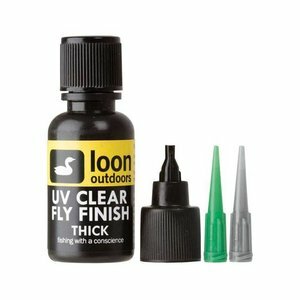 Loon UV Clear Fly Finish is for those who believe “five minutes to cure is five minutes too long.” No mixing or waiting is required. Different thicknesses and sizes are available.